Among the better pairings known to humankind – peanut butter and chocolate, bacon and . . . anything – running and beer go together like a Big Dipper Ice Cream cone and a hot Missoula evening. (Espresso Heath ice cream in a waffle cone and dipped in chocolate is a personal favorite). Fortunately, the Missoula Marathon folks understand this perfectly well. For the fifth year in a row, Marathon weekend kicks off with a Beer Run. What’s this super enticing opportunity, you say? It’s a social run of 3 miles designed to let you meet runners from around the world while stretching your legs and (generally afterward) enjoying a beer from long-time Marathon sponsor Big Sky Brewing Co. The Beer Run starts and finishes in Caras Park, the same location as the packet pick up for the 5K (on Friday) and the Race Expo for the Marathon. Beer from Big Sky Brewing Co. will be on hand for your enjoyment (bring your ID)! The event is free and Run Wild Missoula volunteers will be on hand to lead various pace groups so you won’t get lost. (Or DO get lost. Missoula is a great city to explore.) The fun gets started at 6:00 p.m.
Aside from the Beer Run, the Missoula area is rich with craft beer culture. Read on for information about Missoula’s breweries, better beer bars/restaurants and bottle shops. And if you have time for a side trip, additional suggestions follow. Missoula is now home to eight breweries with many more within a short drive. Here they are in alphabetical order. Bayern Brewing, 1507 Montana St., is Montana’s longest currently operating brewery, opening in 1987, and remains the only German brewery in the Rocky Mountains. From a crisp pils to a mighty eisbock, you’ll find a great variety of beers brewed in accordance with the Reinheitsgebot. Big Sky Brewing Co. is Montana’s largest brewery. 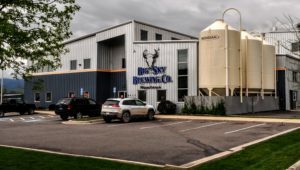 Just a short hop from Missoula’s airport is Big Sky Brewing, 5417 Trumpeter Way, Montana’s largest, maker of the well known Moose Drool Brown Ale, and long-time sponsor of the Missoula Marathon. New for 2018, thanks to a change in Montana’s beer laws, Big Sky was able to add a taproom where you can enjoy pints (previously just small samples) of some excellent rotating beers on draft, many of which you’ll not find in cans and bottles. While there, browse their extensive selection of Big Sky logo gear. Fill up a growler for later adventures and be sure to thank them for their continued support of one of the best race weekends anywhere! 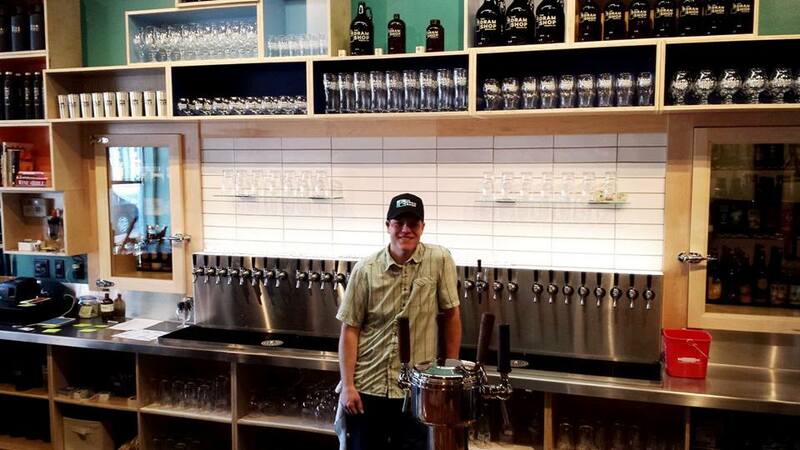 Conflux Brewing Company, 200 E. Main, is Missoula’s newest brewery and full service restaurant. It is located in the heart of downtown, just two blocks from the Marathon finish line. In fact, it’s so new it remains under construction. But next year, look out. Draught Works Brewery, 915 Toole Ave., is located in a converted warehouse with a modern industrial feel and one of the best outdoor patio spots in Missoula. It’s a great place to relax after the race and be sure to grab some food from the Beastro or one of the other food trucks frequently parked outside. Great Burning Brewing Co., 2230 McDonald Ave., offers up one of the best smoked porters around and a wide variety of other ales from head brewer Mike. 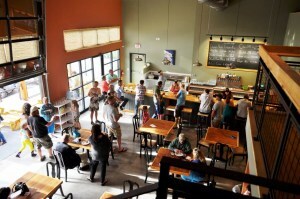 Imagine Nation, 1151 W Broadway, has quickly established a reputation for its well-crafted beers to pair with its friendly taproom and patio which overlooks the Clark Fork River. Lupujus – their New England Style IPAs – are really turning heads. KettleHouse Brewing offers up two very different locations to check out, the iconic south side K-hole, 602 Myrtle St., so named for its . . . um. . . eclectic seating options and austere surroundings, and it’s Northside location, 313 N 1st St W, with its comfortable brick and wood interior of a converted warehouse along the railroad tracks. Kettlehouse’s Cold Smoke Scotch Ale is one of the most popular beers in Montana. Missoula Brewing Co., 200 International Drive, has an open, welcoming taproom space with the huge outdoor patio along Grant Creek and includes a pizza kitchen and frequent live music. It is located just a short walk/drive from the concentration of hotels on North Reserve Street. Want a great story to tell the friends back home? Arrange for a tour on the Thirst Gear Pedal Pub, a crazy looking 15-passenger pedal powered bike that will get you from brewery to brewery in style. 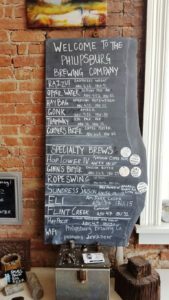 The Dram Shop, 229 East Front St., was recently named by CraftBeer.com as the best beer bar in Montana. It features 37 taps of craft beer, cider and wine and specializes in growler fills in many sizes. 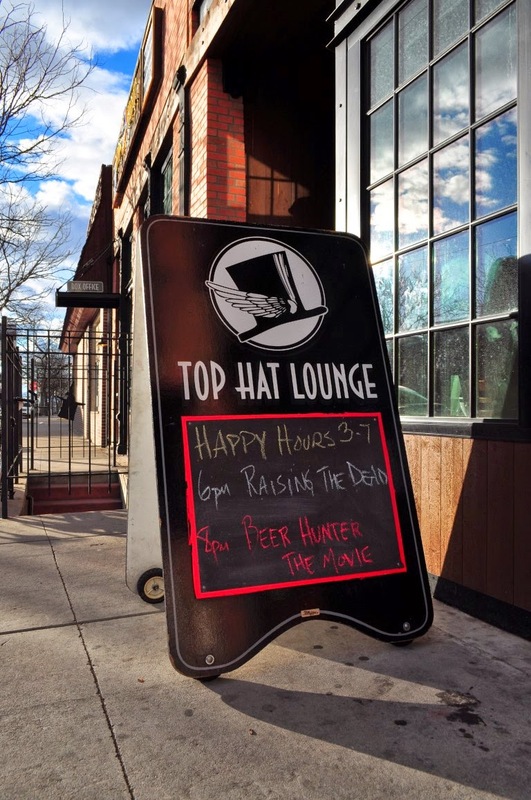 Conveniently located in downtown Missoula, you’ll find local and regional specialties on tap as well as a few international selections in a wide variety of styles. The Missoula outpost for Tamarack Brewing Company (Lakeside, MT), 231 W Front St., is multifaceted with a sports bar downstairs and a more family-centric area upstairs. The Rhino Bar, 158 Ryman St., is well known around Montana for its 50 tap handles containing many from Montana and far beyond. Don’t let the gruff exterior (or interior) dissuade you. Head on in, pull up a bar stool at this quintessential Montana bar and get ready to be entertained by watching some of Missoula’s best wildlife. For some finer dining, Caffe Dolce, 500 Brooks St., and the Red Bird Wine Bar, 111 N Higgins Ave., offer small, but carefully selected tap selections and interesting bottle choices to pair with excellent food at reasonable prices. Caffe Dolce has a fantastic patio on which to enjoy the great Missoula summer evenings. 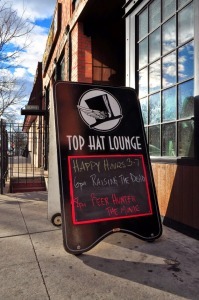 The Top Hat Lounge, located just a few steps from the Marathon finish line at 134 West Front Street, offers a good selection of Montana craft beer taps and excellent small plates in one of the City’s best venues for live music. Need a six-pack of some Montana made beer or a mix-sixer of beers from around the world? Big Head’s Bottle Shop, (formerly part of Summer Sun Garden & Brew) 3106 W. Broadway St., boasts one of Missoula’s best selections. Worden’s Market, 451 N Higgins Ave., also has a very nice selection as do Pattee Creek Market, 704 SW Higgins Ave., Orange Street Food Farm, 701 S Orange St., Missoula Fresh Market, 800 West Broadway and 3801 S. Reserve Street, and Good Food Store, 1600 S 3rd St W.
If you’re a beer fan with a little extra time around the Marathon weekend, Western Montana has much more to offer in the way of beer exploration. A beautiful one-hour drive southeast of Missoula (I-90 to Highway1) will bring you to Philipsburg, a 19th-century mining town that will charm your socks off. You can mine for sapphires, overindulge at the hand-crafted candy store, catch some live theater at the Opera House, or fish Flint Creek. And enjoy beer, of course, at Philipsburg Brewing Co. The brewery’s Haybag American Hefeweizen recently won the silver medal at the prestigious World Beer Cup. The Corners Porter Coffee Porter is a personal favorite and look for the Hoptower IPA series, a rotating IPA featuring a different hop with each batch. For an easy day trip, head south out of Missoula on Highway 93 into Montana’s Bitterroot Valley and take in any combination of the following breweries (from north to south): Lolo Peaking Brewing Co. in Lolo, Wildwood Brewery on the outskirts of Stevensville, Blacksmith Brewing Co. in the heart of Stevensville, Montana’s oldest town, Higherground Brewing Co. and Bitter Root Brewing, both in Hamilton, and Bandit Brewing Co. in Darby. Round trip from downtown Missoula to Hamilton is approximately 90 miles. (Including Darby adds another 34 miles.) To really take in the Valley, head down to Hamilton on Highway 93 and return via the Eastside Highway – Highways 269 and 203. There’s plenty more to see along the way than beer. If riding along with a knowledgeable designated driver is more your style, Montana Brewery Tours and Tap Room Tours offer beer lovers fun, educational, customizable trips and behind the scenes access to the breweries in the Bitterroot Valley and around Missoula. Montana’s famed Flathead Lake/Valley is easily accessible from Missoula by heading north on Highway 93, though you’ll be able to enjoy it more by turning it into an overnight trip with a stop in Kalispell or Whitefish. 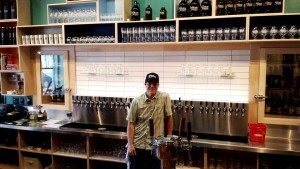 Flathead Lake Brewing Co.’s new brewery in Bigfork. Polson is where you’ll first get a look at Flathead Lake and that jaw dropping sight will have you stopping to take pictures (perhaps your second stop after your first sight of the Mission Mountains). You’ll find Glacier Brewing Co. south of downtown Polson. Head up the east side of the lake (Highway 35) through the Flathead Cherry orchards and you’ll come to Flathead Lake Brewing Co.’s pubhouse in Bigfork, one of Montana’s most picturesque towns. Return to Missoula on Highway 93 to take in the west side of Flathead Lake and you’ll find Tamarack Brewing Co. in Lakeside. Round trip mileage on this route is approximately 280, thus the preference for making it an over-nighter. 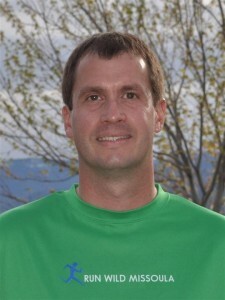 Alan McCormick is an attorney, beer writer, runner, award-winning homebrewer, and co-creator/organizer of Missoula Craft Beer Week. He is the Montana Columnist for the Rocky Mountain Brewing news and writes regularly at his blog Growler Fills: Craft Beer Enthusiasm. 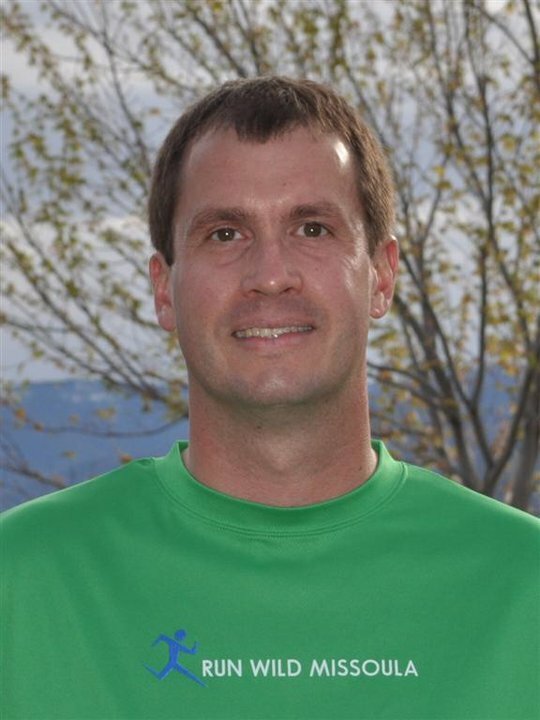 Alan has run the Missoula Marathon twice and this year will mark his sixth Missoula half-marathon. His only running recognition was a first place in his age group at a local 5-k. He was the only entrant in his age group. You can contact him for more info at: alan@growlerfills.beer.